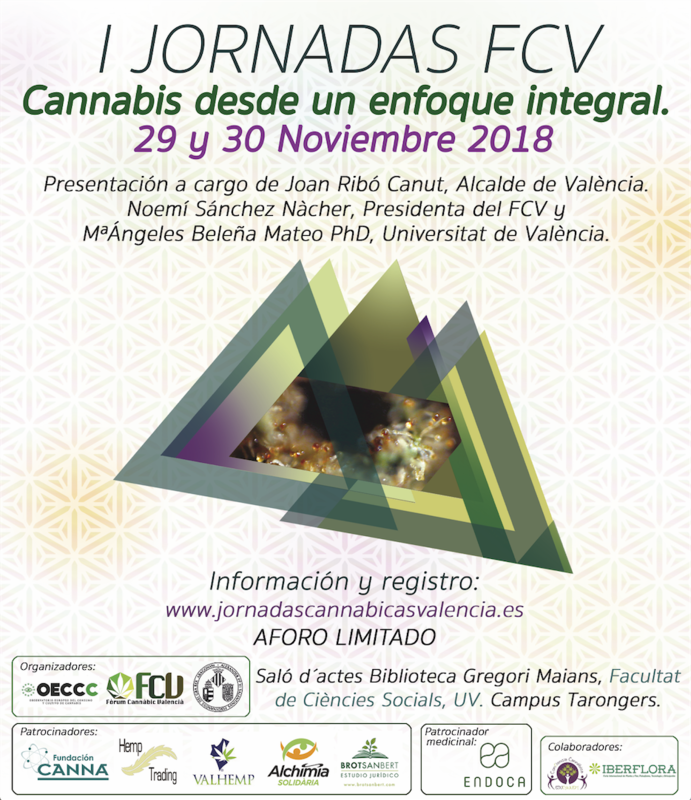 The Forum Cannabic Valencia organizes the Conference "Cannabis through an integrated approach"
On the 29 and 30 November, the Forum Cannabic Valencia (FCV) together with the University of Valencia and the European Observatory of culture and consumption of Cannabis (OECCC) they organized the Conference "Cannabis through an integrated approach". 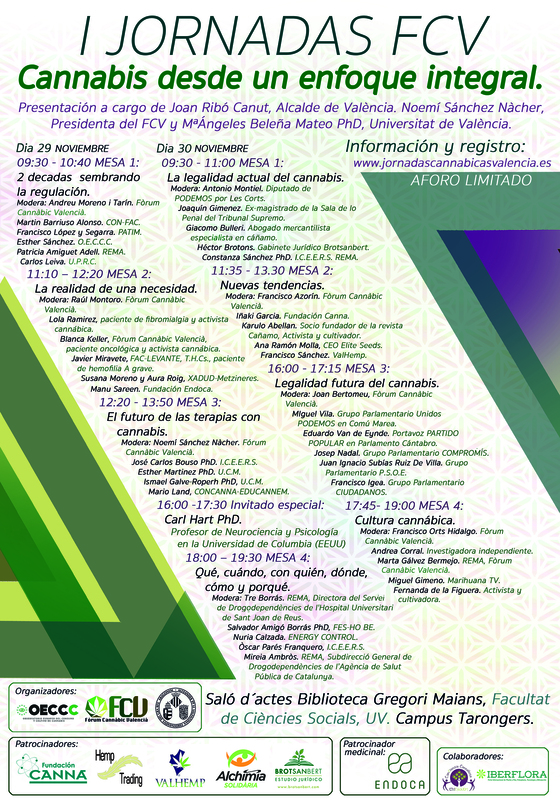 Sessions, that will take place in the Auditorium of the library Gregori Maians, at the Faculty of social sciences, located on the Campus of Tarongers, addressed the issue of cannabis from multiple points of view, such as the legality of cannabis, the future of cannabis therapies, cannabis culture and treatment of everything that surrounds it as an undeniable reality. The presentation of the Conference will be led by Joan Ribó, Mayor of Valencia, from Noemi Sánchez Nacher, President of FCV and Mª Angeles Beleña Mateo, PhD in psychology and teaching at the University of Valencia. The Forum Cannabic Valencia was present at the last edition of Iberflora, within the framework of the new project space health, a space in which were held multitude of papers, lectures and roundtables around the therapeutic cannabis. Attached is the program of the Conference.